Watch as Wavegarden’s original Lagoon technology becomes a skatepark of sorts as professional wakeboarder Nico von Lerchenfeld grabs a cable and gets towed through the pond to land some new tricks in a wave pool. In this case, it’s the world’s first wall ride. The German virtuoso ollies a wave from out the back and slides off the main wall of the former aluminum mine site to complete the world’s first wall ride in a wave pool. 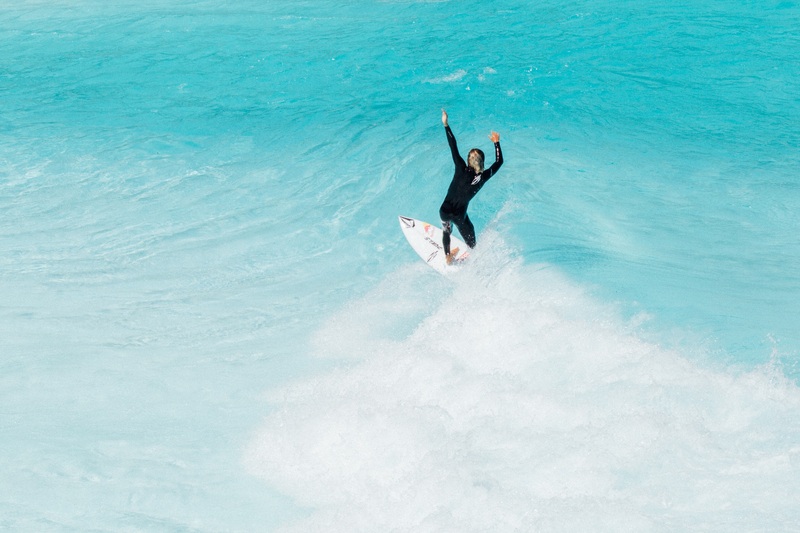 The concept of executing a wall ride in a wave pool is a new one and illustrates that just about anything can be constructed in a pool to enhance the ride. The main limits are creativity and fear of loosing large amounts of blood from injury. But think of where new tricks in a wave pool could go; picture a cable park with floating obstacles to slide and grind. Now imagine a wave running through those very same obstacles. Amazing. It boggles the mind and increases liability insurance worries at the same time. Volcom has hedged toward with their aquatic half-pipe while the folks at Stab mag undertook the tremendous production responsibilities of placing a floating swimming dock in the middle of a tropical peak in Bali. The blurring of surf/snow/wake/skate lines has been brewing for a while. In 2008 a few bros floated a plastic traffic barrier into the lineup and went at it, trying some rail slides. But the un-anchored behemoth became more of a liability than a gnar-maker. And yes it is dangerous. Lerchenfeld did suffer an injury while nailing new tricks in a wave pool. As the clip closes there’s a rave-worthy night session as the 2-plus minute clip nears the end. In addition we get to see Surf Snowdonia’s resident pro Jo Dennison ripping a few lefts to give some perspective to the high-flying antics of Nico surfing on an a wakeboard. But the whole episode opens up an incredible future of possibilities: What obstacle would you throw in a wave pool to spice up the session?